The first Prestige yacht appeared back in 1957 under the patronage of the French company Jeanneau and was a modest sailboat. By 1961, she received a fiberglass case instead of a wooden one - at that time it was one of a kind. Over time, the shipyard moved away from the production of sailing boats and now it only makes motorboats. Modern Prestige yachts are distinguished by exceptional reliability and seaworthiness, as they are built on the basis of sports high-speed vessels. Their excellent technical characteristics and design were even awarded the European Boat of the Year award. 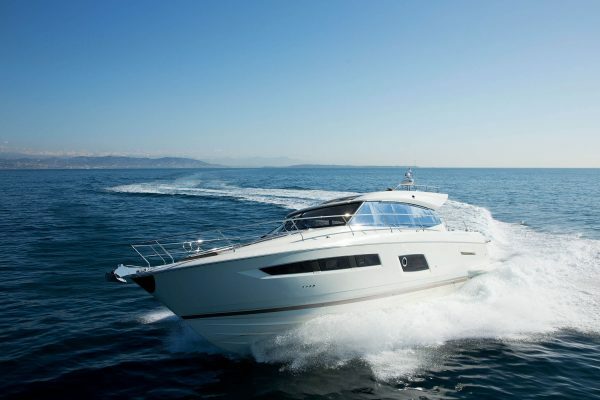 The model range develops in three main directions - Flybridge, Express and Sport Top. Yachts are made from 35 to 60 feet long (from 10 to 18 meters) - there is a tendency to lengthen boats to 20 meters or more. Prestige yachts are being quickly bought up on all four continents of the world - more than 2500 permanent yachtsmen share brand values. The brand’s success is based on two simple principles: the spaciousness and luxury of the apartments plus the location of the entire living space on the same level as the 360 ° panoramic view.